The TourTech TT-16s offers a very expressive and natural-feeling performance from an electric drum kit ideal for both new starters and pro-l.. The TourTech TT-16s offers a very expressive and natural-feeling performance from an electric drum kit ideal for both new starters and pro-level players. Entry Level Price - Pro Level Performance! With professional features like dual-channel Snare and Tom Pads, Crash & Ride Cymbals with Choke functionality and an intuitive set-up racking system, the Tourtech TT-16S is ideal for portable studio setups and for bedroom players alike. Each sound on the TT-16S preset kits can be fine tuned to suit your tastes - tweak the tone and tune of each pad to fit in the mix with an intuitive sound module. The Tourtech TT16S is also kitted out with pro features like MIDI IN/OUT to use with a virtual instrument or DAW, USB connectivity and an Aux In to connect an MP3 Player or Tablet/Smartphone. Play along and jam with your favourite artists and have fun practicing with the built-in Metronome! The TourTech TT-16S also comes complete with all pedals, rack, mounts and a pair of sticks to get you started straight out the box. Simply add a drum stool and headphones, and away you go! The blurb on this webpage is right it really is pro performance at an entry level price I am really surprised at how good this kit is for the price. 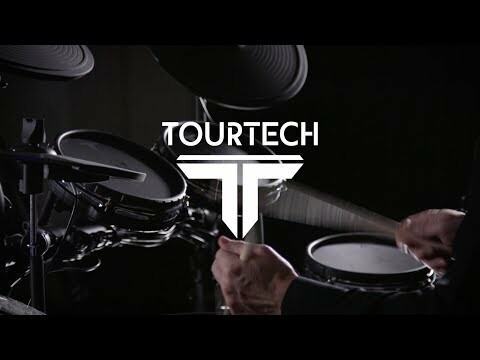 I am sure that the top end kits are gonna be great and everything but pound for performance I don't think these tourtech electronic drum kits can be beat.